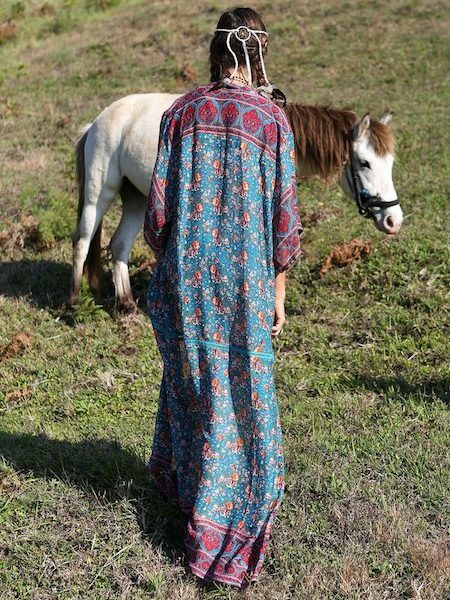 This gypsy style kimono has us dreaming to hit the road, van in tow sunset on the horizon. 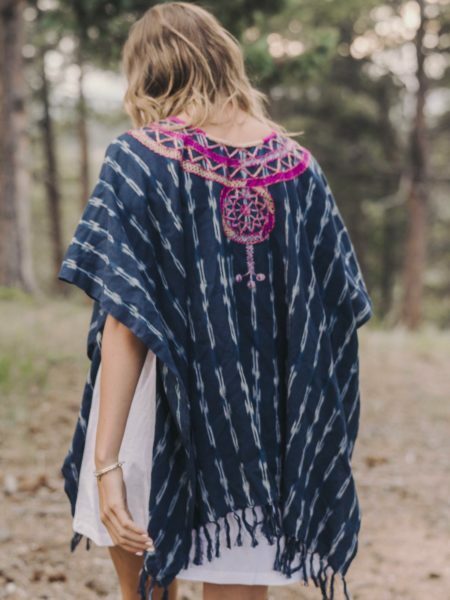 This open front kimono is crafted from the softest rayon, falling mid calf length. Floaty, wide 3/4 flared sleeves are adorned with intricate hand embroidery & lacework and detailing the back and hemline. Deep forest green in colour and perfect to add some colour this winter. We’ve made this one for those on the road, and those with a wandering heart.